One of the biggest advantages of owning, leasing, or financing a new vehicle is the seamless connectivity offered by new technologies. The Chevrolet MyLink Bluetooth integrates your mobile device and the vehicle to deliver all of the convenient features you use on a daily basis – hands free. MyLink allows you to connect your Apple or Android smartphone to your vehicle with customizable features for apps and things like music and audiobooks. Bluetooth is a wireless technology released in 1994 by that is an industry standard for exchanging information and data over a short distance using short-wavelength UHF radio waves. It was named after a Norse King, Harald Bluetooth, who united a slew of divided Danish tribes into a single kingdom. The idea was that Bluetooth would do the same for wireless communication platforms. First up, ensure that your phone’s Bluetooth connection is enabled in the settings menu of your device. When your Bluetooth connection is turned on, it will automatically begin searching for a Bluetooth connection with which to pair. The second step is to locate the vehicle’s Bluetooth connection under the Settings app in the vehicle’s computer. Under the Bluetooth menu, simply select Pair New Device. The vehicle will automatically begin searching for a device to pair with. Looking back to your phone screen, a Chevrolet MyLink option should appear under the Available Devices section of the Bluetooth connection page. 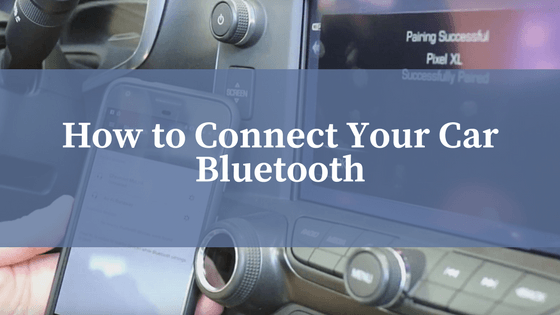 If for some reason your vehicle and phone take a few minutes to pair together, simply switch off your mobile device’s Bluetooth toggle switch and turn it back on. When you select the Chevrolet MyLink connection, your vehicle and phone will both present a PIN number, and will ask you to make sure that they match. If the PIN’s match, select Yes on the vehicle’s main screen, and Pair on your device screen. Successful pairing of your phone and the vehicle via Bluetooth will give you access to use wireless connectivity and all of your favourite apps via your car’s screen.